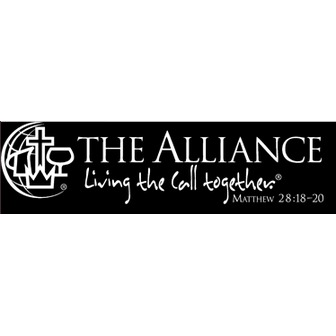 The Christian and Missionary Alliance (C&MA) is an evangelical denomination within Christianity. It is an alliance of Jesus-centered missions focused on the pursuit and promotion of higher Christian life and mobilizing consecrated Christians in the work of foreign missionary efforts. In United States, there are more than 2010 C&MA churches, nearly 600 out of them described as intellectual with more than 420,000 members. In Canada, there are about 440 churches, 59 of which are multicultural with approximately 120,000 members. A report published by the Alliance in 2004 stated that there were more than 3 million members outside USA and Canada. In order to achieve its mission, C&MA has a management structure comprising of three groups; The General Council, Board of Directors and Officers and the President's Cabinet. The General Council is representative of the entire membership and acknowledges Christ as Head of the Church. The governing powers are vested in the Board of Directors and Officers, which functions according to the policies and legislation enacted by the General Council. The present president of the board is Dr. Gary M. Benedict who is the 11th president in the United States and his four-year term ends in 2013. According to his own assessment of himself, he is "the kind of guy who brings people together,"
The president is also the chairman of the President's Cabinet, which comprises of the corporate vice president, the corporate secretary, vice president for administration, all vice presidents and any other members at the pleasure of the President should he deem necessary. The cabinet's functions are to advice and provide administrative information to the President. All important matters and recommendations are submitted by the President to the Board of Directors. Previously headquartered in Nyack, New York, C&MA headquarters are presently located in Colorado Springs, Colorado. The purpose of the Christian and Missionary Alliance is all about Jesus and its mission is to fulfill his final request with his followers. C&MA believes in action. Its motto is "Living the Call Together". It is committed to building up fully devoted followers of Christ to come together and build healthy churches, which according to C&MA are to be "unified as the Body of Christ through the indwelling." The Statement of Faith established by C&MA in 1965 defines that it as an evangelical Protestant Denomination. The summary of the statement faith is that only one God exists as a Trinity, and that Jesus Christ is both God and man and regards that Jesus' died as a substitute for others and was resurrected, ascended to heaven and will return to His Kingdom. The statement of faith goes on to assert that the Holy Spirit exists as an inner activating spirit and force, teaches and empowers believers. C&MA believes that God's mission can be completed through his Church. To this end, the Alliance focuses its resources and efforts to the development of local churches, in USA and the world over. At the bottom rung are the fully devoted followers of the church who build churches for serving people as ministry centers to find and bring back the "lost" people. C&MA believes that the primary mission of Jesus was, in His own words, "to seek and to save what was lost" - (Luke 19:10). Being "lost" means being without Christ and being in a place of torment, the place the Bible calls hell. C&MA believes that "lost" people matter to God and He wants them to be found. The passion to reach out to people that was instilled within Rev. A. B. Simpson, the founder of C&MA, still lives within the Alliance. It strives to reach out to people with no knowledge of Jesus Christ and introduce them to him. Founded by Rev. Albert Benjamin Simpson in 1887, the Christian and Missionary Alliance was not initially a denomination. It started as two distinct organizations: The Christian Alliance and The Evangelical Missionary Alliance. 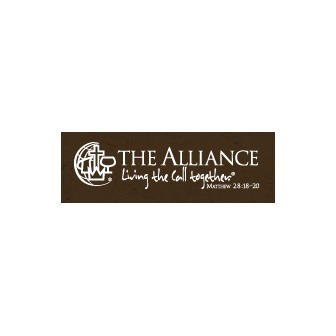 The Christian Alliance focused on the pursuit and promotion of the Higher Christian life while The Evangelical Missionary Alliance was dedicated to calling up Christians in the work of foreign missionary efforts. Both groups merged in 1897 to form The Christian and Missionary Alliance. It was only much later during the mid-twentieth century that an official denomination was formed. Rev. A.B. Simpson was a Presbyterian spiritual leader who was motivated by the spiritual needs of the metropolitan populations in USA and un-evangelized people in other parts of the world. He had a sense of urgency to take Jesus' message to all nations. Initially, Simpson was closely associated with the growing Pentecostal and it was common for Pentecostal ministers and missionaries to join the Missionary Training Institute founded by Simpson. The result of this was that the evangelical emphasis, C&MA doctrine, Simpson's hymns and books had a significant influence on Pentecostalism, especially in Assemblies of God and International Church of Foursquare Gospel. However, issues surrounding Pentecostalism led to serious differences within the C&MA, which served as a catalyst for the emergence of C&MA as a Protestant denomination in 1912. For the sake of the institution's survival Simpson transferred title of all property in the name of C&MA and if there was to be a separation the property was to revert to C&MA. Simpson died in 1919. His death saw a total rejection of C&MA, with the premise that speaking in tongues is a necessary indicator for being filled with the Holy Spirit. Thereon, C&MA dedicated itself to deeper Christian life. By 1930, although most C&MA branches functioned as churches, they did not view themselves as such. In 1965, C&MA churches formally established a statement of faith and adopted a denominational function. C&MA is today growing as a Protestant denomination dedicated to evangelism.